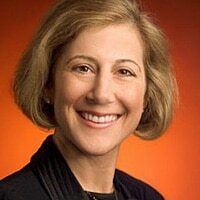 Stephanie Tilenius, Google‘s VP of commerce and payments, today confirmed that the internet giant will be making a “partner announcement” regarding NFC and mobile commerce in New York tomorrow, 26 May. She added that there is a ton of activity around NFC in international markets, giving the example of a successful trial of the technology that Starbucks ran in London. When pressed about the nature of what Google is announcing tomorrow, Tilenius declined to reveal any in-depth details but said it would be a partner announcement around mobile and local commerce. Bloomberg first reported yesterday that Google would announce a mobile payments service tomorrow, in conjunction with Sprint. The Wall Street Journal then added that the first retailers to take part would include Macy’s, American Eagle Outfitters and the Subway fast-food chain. Google is expected to announce the new service at a press event due to take place at the company’s New York offices between 12pm and 2pm on Thursday. Partners are expected to include Citigroup, MasterCard and Verifone and the service is likely to also include merchant equipment developed by Ingenico.